As grade levels and courses become aligned with the Common Core State Standards for English / Language Arts, pacing guides for each grade level/course will no longer be published. The LBUSD Common Core State Standards Scope and Sequence documents provide a comprehensive “blueprint” for strategically sequencing and operationalizing the grade-level/course standards in English / Language Arts. The LBUSD Common Core State Standards Unit Guides provide greater detail for instruction and assessment to support the district adopted core resource. 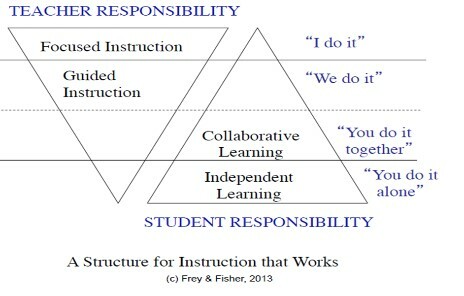 The Unit Guides support an instructional structure in which students assume increased responsibility for their learning with the intentional practice of gradually shifting the mental effort from teacher to student. In an effort to create ongoing cycles of feedback on the units that have been created, use one of the following short feedback forms to offer the ELA Office guidance on key elements of the unit design.